Gmail is an amazing tool. But, chances are good you have only scratched the surface of how amazingly powerful a tool it can be. 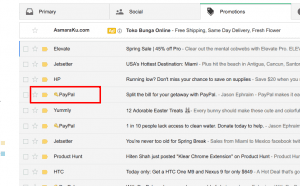 In this guide, we are going to show you the very best Gmail tricks, hacks, and tips we’ve been able to scour from across dozens of top sources including Hubspot, Mashable, and more. 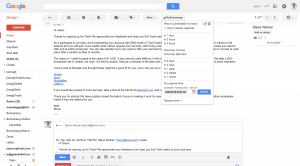 Want to turn your Gmail into a productivity powerhouse? Maybe you need help managing your email leads? Need to make sure your Gmail account is as secure as possible? Are you trying to become more organized? Do you want to make using your inbox faster? When reading any message, click the “more” button from the top menu and select “Add to tasks“. You can then edit the task to include a due-date, reminders, and more. 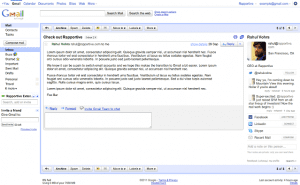 Any task created in this way also notes any related messages which you can refer back to if needed. Resolve meeting times by proposing available times, and allowing your attendees to indicate where within your indicated timeframe they are also available to meet. 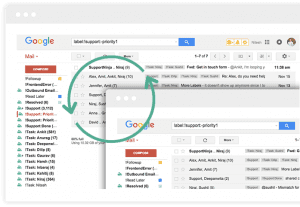 Mixmax is a popular Chrome extension for Gmail that lets you schedule meetings using availability. You can propose a range of meeting times, and allow your recipients to select what works for them until you narrow down the ideal time to meet. Mixmax also includes a range of other options like in-email polls, tracking, and more. 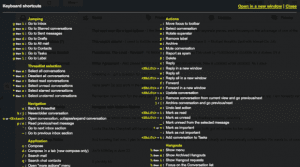 Sortd is a smart skin for Gmail that turns your inbox into a board where you can drag and drop emails into columns following any workflow or sorting order you want. This works great for contact or email workflows for sales teams, as well as project management and planning. Go to settings, labs, and activate the “Authentication icon for verified senders” feature. After reloading, any major brands commonly targeted by spammers including Amazon, and Paypal will show up with a key symbol if they are from a legitimate address used by that company. Even before you open them, know what emails are being tracked by their sender. Install Ugly Email, and anytime your email contains a tracking script it will appear with what the extension calls “The evil eye”. That way, you can always be sure when someone may be alerted that you opened their message – a valuable piece of information when you might not be able to get back to it right away. 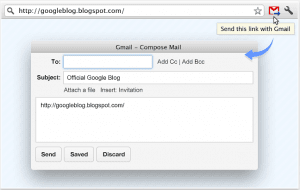 Revoke anyone’s access to any email message using a gmail Chrome extension. 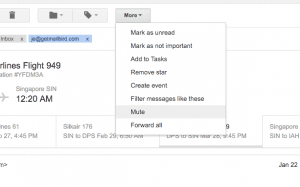 Dmail is a chrome extension that let’s you “delete” sent messages using Gmail. What it actually does is allow you to revoke access the the email. You can delete a sent message at any time. Or, you can choose to indicate a period of time before the message deletes itself. Best of all, your recipients don’t need to use it to read your emails. Use Gmail’s account name rules to create unique email addresses that work with your Gmail account. Did you know that punctuation is superfluous in Gmail email addresses? You can add “.” or “+” anywhere in your existing Gmail address and it will still appear in your inbox. So, anytime you are signing up for something, try a different variation “[email protected]” and make a note of it. Then, you can search or even set up a filter to catch when someone uses that email configuration to send you something. How to access your messages even when you don’t have access to the internet on your laptop or PC. 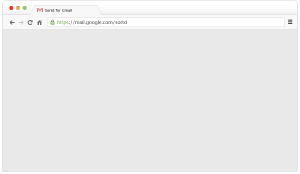 Gmail Offline is a Chrome app that let’s you check your gmail accounts even if you aren’t online. Just make sure to at least activate it for each of the Gmail accounts you manage. Also, it’s a good idea to use it occasionally so it can grab all your most recent emails for offline use. Turn back and forth emails between a group of recipients into a real-time chat where you can share videos, files, and collaborate on projects. Unfortunately, Hop is only available on mobile. 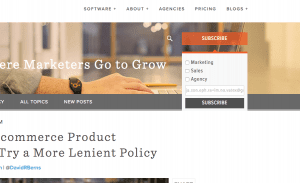 But, it is releasing a web extension in April this year. With Hop, you can turn any email conversation or group conversation into a chat just like any other chat client. 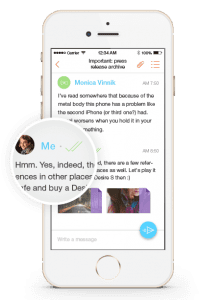 Mailburn is an iPhone application that let’s you turn Gmail emails from people into conversations like a chat program (think “Whatsapp”). What makes Mailburn different, however, is that it organizes anything not directly from a person into a newsletter feed, allowing you to manage emails from people more quickly and save the announcements, sales, notices, etc for later. Swipe to keep or discard messages. take on messages one at a time. 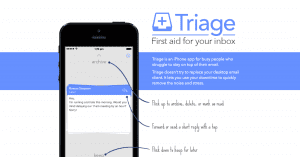 Triage is a mobile-only email client that works with Gmail. If you have ever used Tinder, then the idea will be familiar to you. You get one message at a time. You can either choose to reply, archive, or keep it for later and it is shuffled back into your deck. Add a third column to your Gmail window with a preview of the selected message like in Mailbird, Outlook, and other Email clients. Gmail doesn’t include a preview pane by default. However, you can activate it by going to settings>labs and activating it by scrolling down to “Preview Pane“, activating it, and scrolling to the bottom and clicking save. 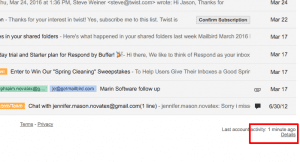 Installing the Hiver extension for Gmail allows you to share your labels, contacts, and more with other Gmail users. This can be great for organizations or teams sharing a workflow or any other type of email management outside of a traditional CMS. Save and send often-used responses and messages to save time. In the settings menu, go to Labs, and activate the “Canned Responses” setting. The next time you write a message, you will be able to write your first set of responses by selecting the down-arrow and clicking “canned responses“. From that point on, you can always inject your saved responses (including merge fields). 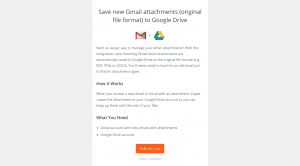 Automatically download any attachments sent to your inbox in your Google Drive so you never loose them. 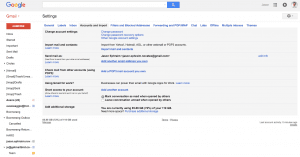 Visit Zapier‘s Gmail to Google Doc zap page. If you have never used Zapier, you will need to create an account first. Next, you will need to follow the steps to grant Zapier permission to manage your Gmail account and your Google Drive accounts. Once set, your zap will deliver every attachment to your specified Google Drive folder. Remove messages from your inbox to address them in an hour, a day, a week, or more – letting you clear your inbox without missing anything. 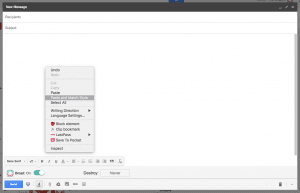 Install the Boomerang extension for Chrome and reload your Gmail window. Now, anytime you get an email that you don’t want to take care of immediately, click the Boomerang button on the top menu bar and select a time when you would like it to appear back in your inbox. See your recipient’s twitter profile, latest tweet, Facebook updates, linkedin profile, and demographics. 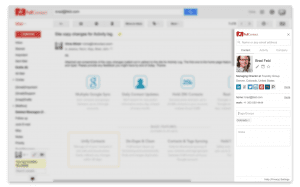 FullContact is a Chrome extension that brings every detail about your Gmail contacts into a side-pane alongside your messages from them. You can also make notes, apply labels, and add them via other social networks you may not have connected with them yet. An added bonus for sales people or HR is that it also pulls through details on your contacts company including it’s social profiles and activity. Reply to emails from a different Email address than the one the original message was sent to. Go to settings, Accounts & Import, and add your other email accounts in the “Send mail as” section. Once added, you will be able to click on your portrait in any quick-reply or pop-out message composer window to select which account you would like the message sent from. It will also apply any signatures you have set up. Refer to details from Linkedin, your contact’s website, start Skype conversations, and more alongside your Gmail messages with them. Install the Chrome extension Rapportive and follow it’s steps to allow it access to your Linkedin account. After reloading your Gmail, you will begin to see all your contact’s details show up alongside their emails. In addition, Rapportive will let you know when you are not connected with someone, giving you the perfect opportunity to grow your Linkedin network. Find out when, how many times, and which recipeient has opened your message. Also, get the option to auto-create followup reminders for them. Install the Chrome extension FollowUp and sign in using whatever method you prefer. You will also need to grant the app permission to manage your Gmail. Once it’s installed, you will see new options in your Gmail compose window including the option to track that email, send it later, and more. 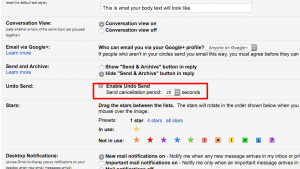 Go to the settings menu in Gmail, and on the “General” tab scroll down to “Undo Send“. Here, you can activate the feature by clicking the radio button and indicating the period of time you would like to be able to undo sending any message. When activated, this feature holds the email in your outbox before sending, giving you time to unsend it. Use this Gmail labs feature to create your own shortcut combinations for often-used functions. Paste content in any gmail message without the source formatting so it matches your default font, color, size, and weight. Search for, and inject animated GIFs directly into your email messages. Giphy’s Chrome extension allows Gmail users the ability to search through it’s database of popular gifs, and include them in the body of their emails simply by clicking the icon in the formatting toolbar. Send links along with your message with permission to access the file, allowing you to send large files without worrying about limits. 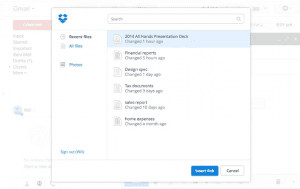 Dropbox has a great Chrome extension that allows you to include sharing links to your Dropbox files without having to open Dropbox and copy/paste it manually. Best of all, this method allows you share giant files in a jiffy. FindBigMail finds, sorts, and lets you delete big emails. This can have an amazing effect in speeding up your Gmail account. It can also make it much faster to check your Gmail account using email clients, since they need to download your messages. 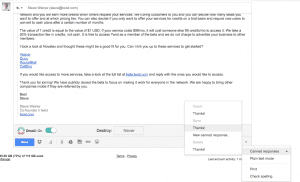 Force mailto: links and other applications to open using Gmail, and prevent them from opening with other email clients. Send with Gmail not only adds a small button in your Chrome task bar that allows you to compose quick emails. 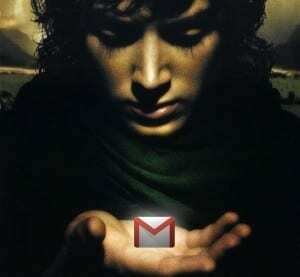 It also forces any links or prompts to open your default email client to use Gmail. If you routinely find your system trying to open native email clients instead of your Gmail, then this extension is for you. 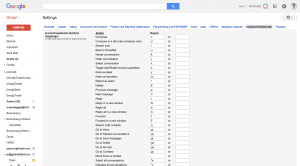 Access a quick overview of all the Gmail keyboard shortcuts and a detailed description of what each does. To activate the keyboard shortcuts and get access to the cheatsheet, go to Settings > General > Keyboard shortcuts and select the radio button next to “Keyboard shortcuts on.” Save your settings before exiting. With the shortcuts activated, you can press Press Shift–? any time to display a complete cheatsheet with all the keyboard shortcuts. Prevent further emails in the current conversation thread from showing in your inbox. To prevent any further emails in a email thread from clogging up your inbox, click on “more” with the email conversation open. Then, click on Mute. No more emails in that thread will show up as new emails in your inbox. See if anyone else has used your email account by checking your Gmail recent activity logs. If you are concerned your account has been hacked, you can check your Gmail activity logs by scrolling to the bottom of your Gmail window and clicking on “Details” (see screenshot). A new window will open with all your account activity including extension, app, and client access logs. When in doubt, it’s best to change your password anyway. Is there a trick we missed? Please, share it with us in the comments. We’d love to hear how you’ve found a better way to use your Gmail. 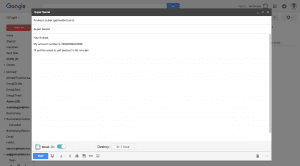 19 thoughts on "The Better Than Ultimate Guide To Gmail"
Saving attachments to gdrive is convenient. I like UglyEye feature in gamil. My favorite feature of Gmail is their Web client has a dark/night theme. Nice article. My favourite feature is the ability to aggregate several e-mail accounts using Gmail. One can access via POP or IMAP seamlessly. My favourite feature of Google Inbox is the UI. It’s quite pretty. 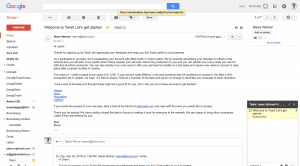 Very nice but what is with very important and simple thing: Synch gmail contact with Mailbird? I can not understand that you didnt resolve this problem yet. 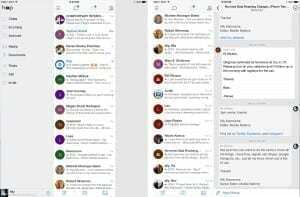 How we can use Mailbird with no synch contacts? My favorite Gmail feature is the ability that a user has to unsend an email. Thanks for the fantastic opportunity to win! 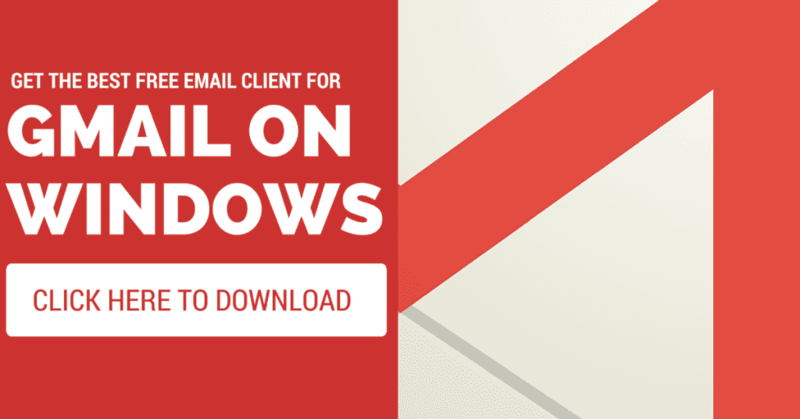 Contact sync with Gmail and Outlook hit today!! Finally!! Thank you Mailbird!